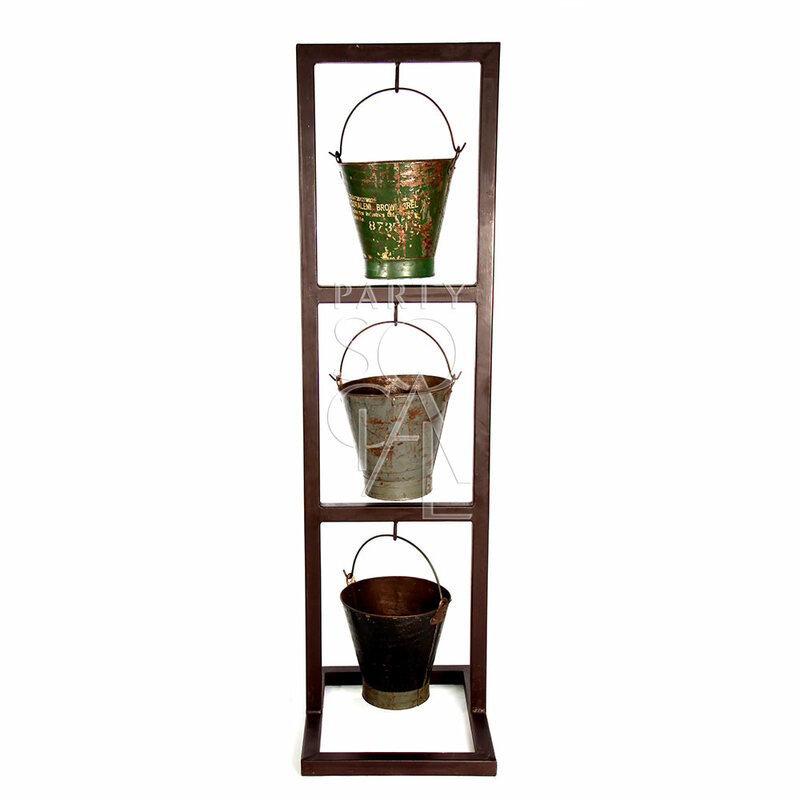 A true vintage bucket that has survived and can adorn any event to give an authentic feel. 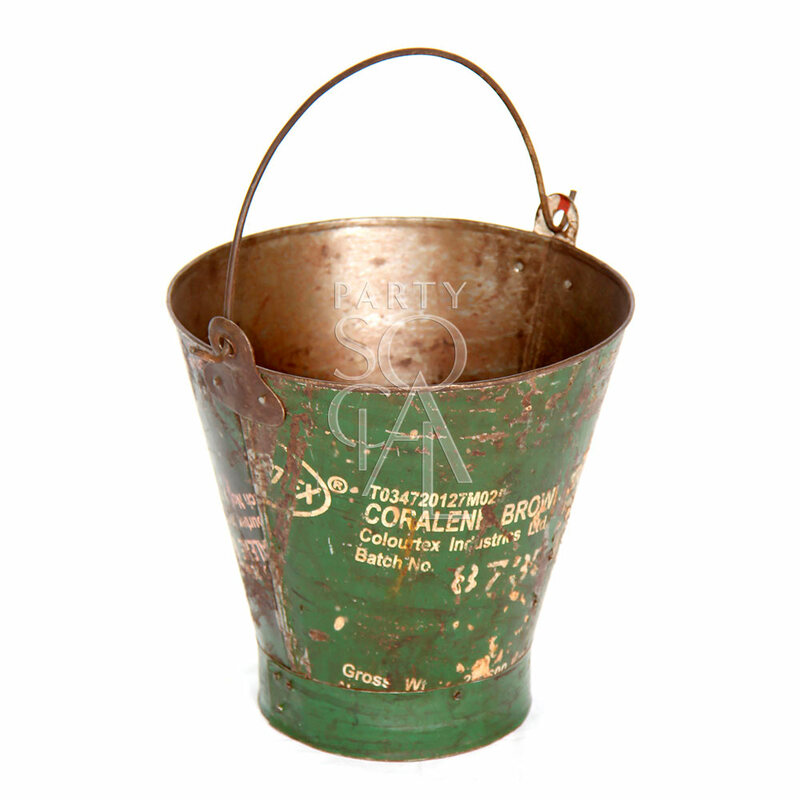 Can be placed in the bucket stand or use a variety in various places around a table. Colors may vary.